A5ive is out with a new Afro pop tune which will be hitting the airwaves soon. 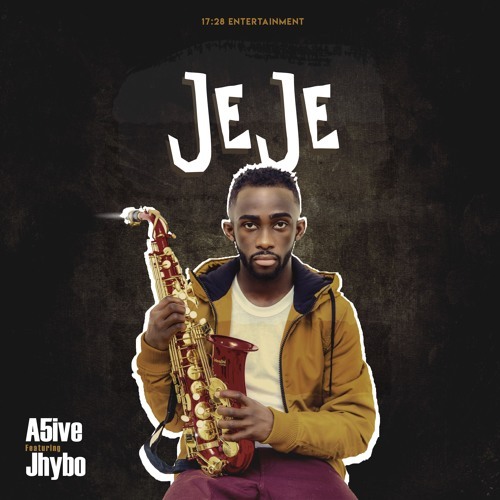 The song's titled ''Jeje'' which features the famous indigenous Nigerian rapper, Jhybo. About A5ive: -He was born and bred in Agege, Lagos State. -He has a unique style of vocalization with which he spews mind-blowing rhythms and meaningful lyrics. -9ice, Asa, Adekunle Gold, Wizkid, 2 Baba, Akon and a host of other artistes with their unique brand happen to be his role models. -He was privileged to embark on a US music tour with his most adorable mentor, 9ice. The ''Living Things'' 2018 tour, featured a stimulating musical performance in over 10 cities in the United States. It is high time he is rewarded for his good music and he believes you all can make it happen. He supplicates to you to kindly subscribe to his YouTube channel. He also hopes to receive endorsements and shows (both local and international) Thank you all.